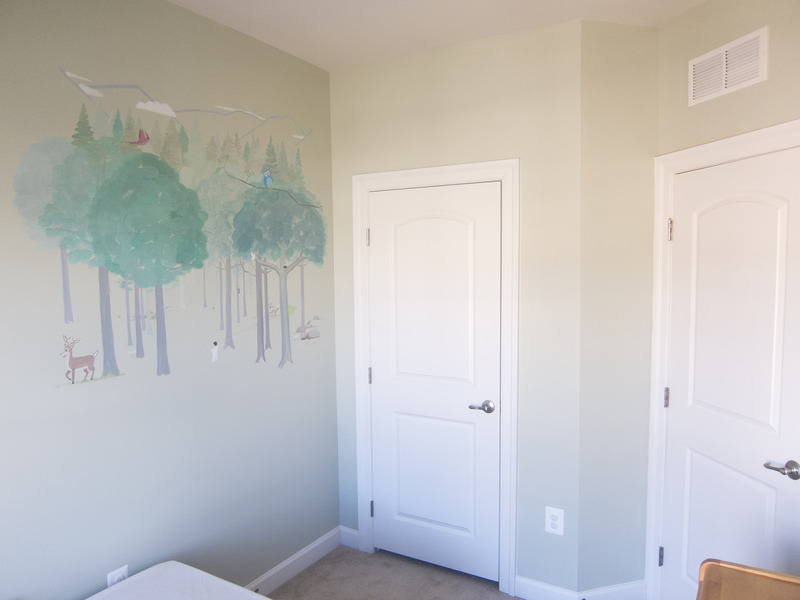 A few weeks ago I mostly finished the forest friends mural painting in my son’s bedroom, although I still plan on adding a stream of water in when I get a chance. 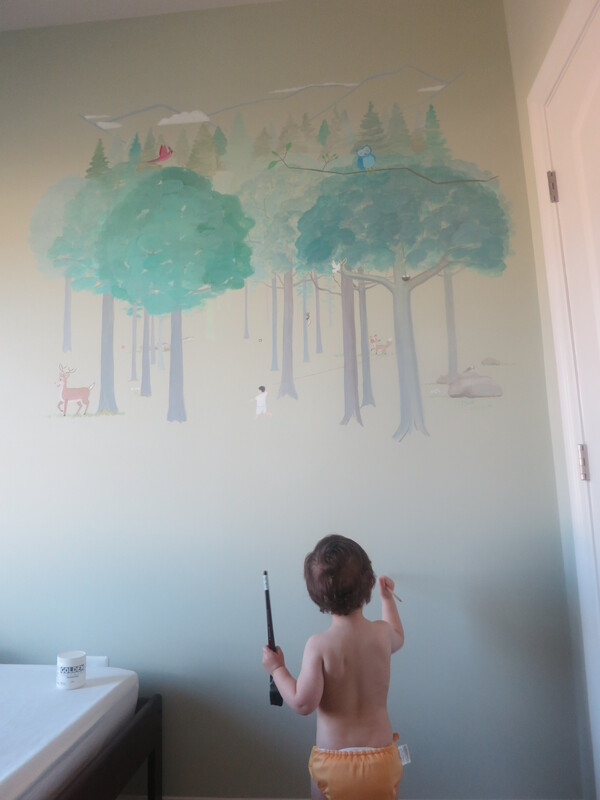 I took this picture a few weeks ago when my son was in the room with me and grabbed a paintbrush so that he could also paint! 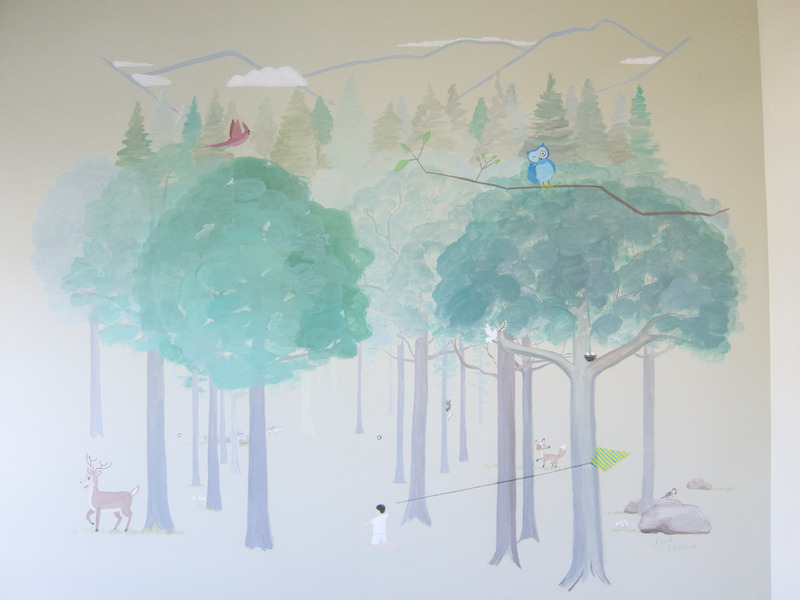 Here are a couple of other shots of the mural, complete with smiling animals like an owl, cardinal bird, deer and fox, with a sparrow bird, squirrel, butterflies, a mother dove flying over to her 2 babies in a nest, and a little boy running with a kite in his hand. Right before my wife and I found out she was pregnant with our 2nd son, two doves had set up a nest outside of our kitchen door and laid eggs for 2 babies that hatched over the course of the next month! So I had to include that in the painting. I’ll post a few more photos after I add in the stream of water, and hopefully get some better lighting to see the color and detail a bit better.